Samsung demonstrated a prototype device during its developer conference today, and dimmed the lights to protect elements of the design. 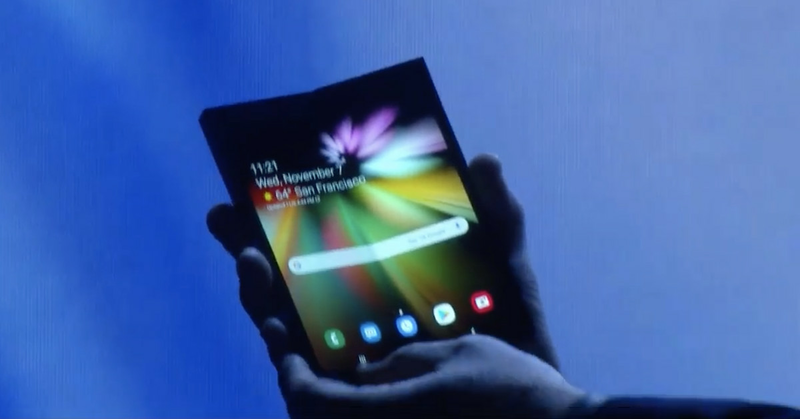 Nevertheless, Samsung showed a device that folded out into a tablet and back up into a candybar-like form factor. The device includes a cover display that acts as a phone, and a main 7.3-inch tablet display.